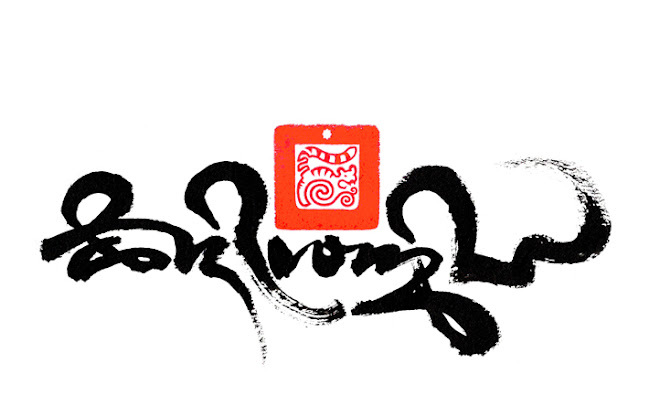 RELATED TIBETAN SCRIPTS: The birth of the Tibetan written language. 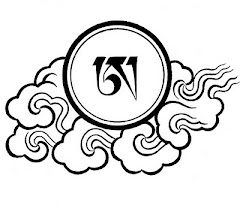 The birth of the Tibetan written language. 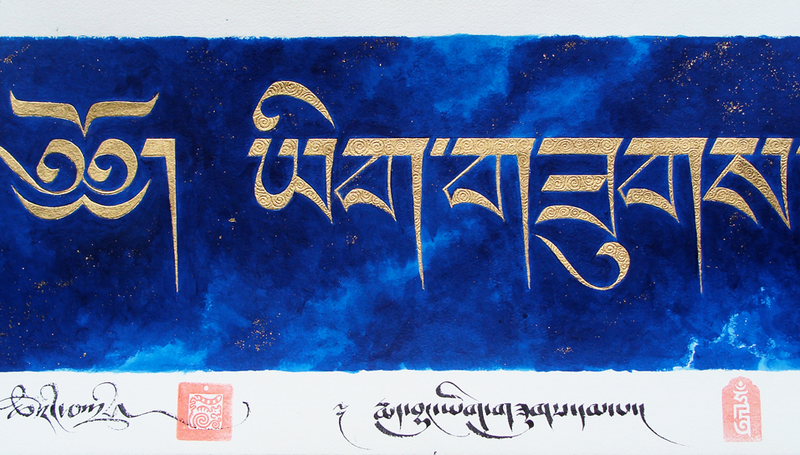 According to the legend of how the Tibetan written language came into being.... the bright luster of Gold lettering embossed onto the deep contrast of Lapis-lazuli precious stone tablets; is how the first Tibetan alphabet formation was presented to King Sangtsen Gampo (c 617-698 CE), by celestial beings called ‘Dakini’. 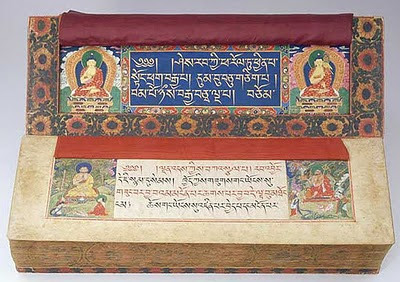 The kings’ minister Thonmi Sambhota developed the Tibetan script to accommodate the influx of the Buddha’s teachings, Sutra and Tantra manuscripts from India. Thus the Tibetan written language was born. The presentation of calligraphy in gold on a Lapis colored base is therefore associated with the most divine and honorific forms, often emulated as interior decoration futures in Tibetan temple decoration and as heading pages to important Tibetan manuscripts.